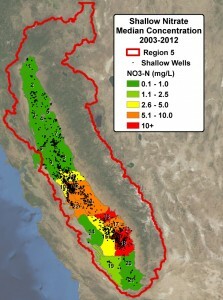 As part of a multi-firm team, an Initial Conceptual Model (ICM) was developed by LSCE as a starting point with the ultimate goal of developing a Salt and Nitrate Management Plan (SNMP) for California’s Regional Water Quality Control Board’s Central Valley jurisdiction, an area of over 59,000 square miles. The ICM is a necessary first step in the multi-phased approach to the development of the SNMP because it allows for a broad large-scale analysis of major sources and sinks of salt and nitrate, as well as determines the general direction of transport of those constituents. 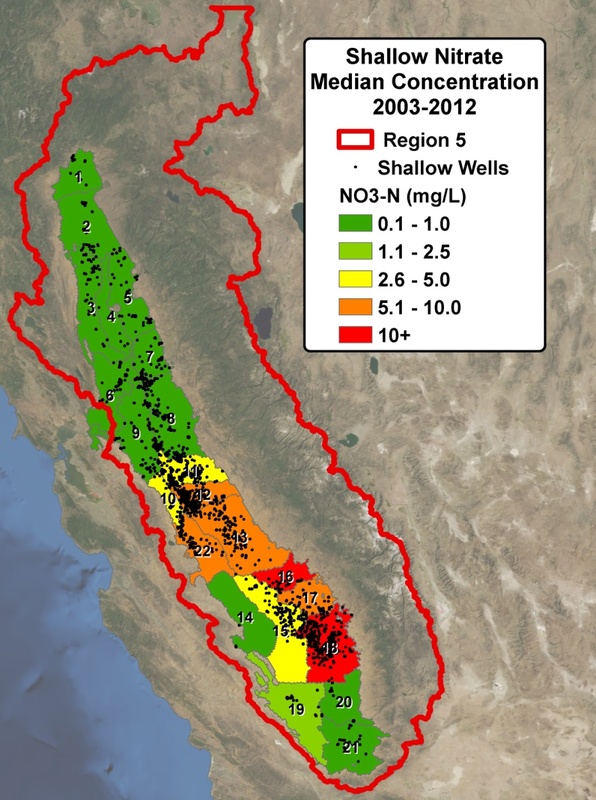 Extensive statistical and geostatistical analyses of groundwater quality data were conducted to determine ambient shallow groundwater in the Central Valley within a 20-year travel distance from the ground surface. 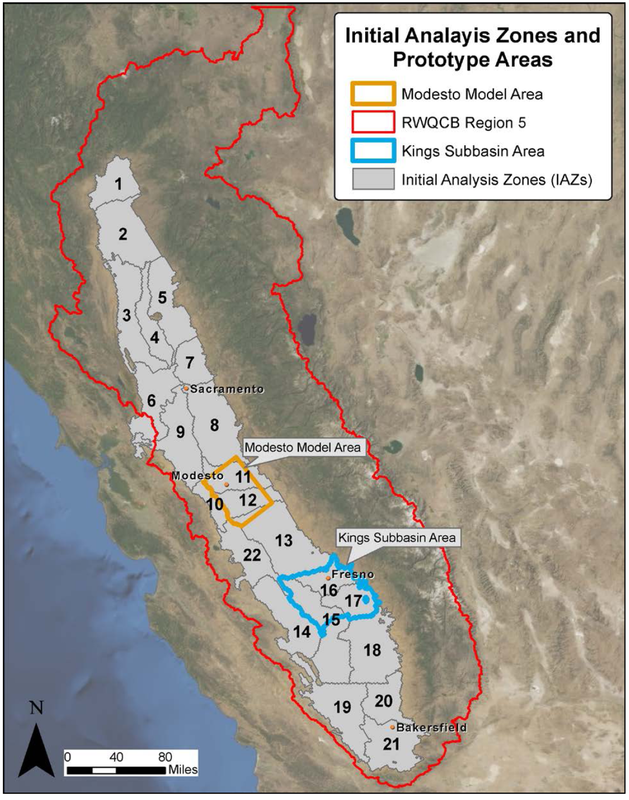 Two prototype areas in the Central Valley were selected as areas of interest to develop templates for data analysis methods and modeling tools to characterize water, salt, and nitrate balances, including accumulation and depletion, on a more spatially refined level compared to the large-scale conceptual model. 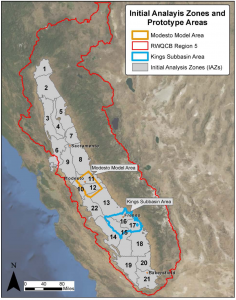 The work completed for Phase 1 and underway for Phase 2 for the Central Valley SNMP provides the technical guidance for the planned Basin Plan Amendment and also provides guidance for other areas of the state that will need to complete their own SNMP.